Legendary movie critic Arch Campbell was axed after decades at NBC because of budget cutbacks by NBC Universal. Although NBC-4 is number one in the DC market, they are cutting away at long time celebrity journalists, reporters and newscasters. ABC-7 in DC seems to recruit the best from other stations. They recruited Maureen Bunyan and Gordon Peterson after they left CBS-9. 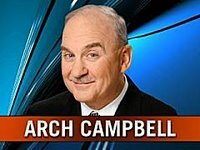 The Washington Metropolitan Area loves Arch Campbell. He is a nice guy and it comes through on the camera. Good luck Arch. We can tell you really love what you do.